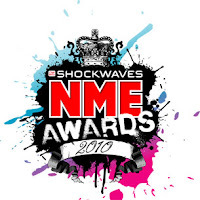 Here are the winners from the 2010 NME Awards, which were held in Brixton, London and voted for by music fans. Kasabian won Best Album and Best Album Artwork, while Lady GaGa won Best and Worst Dressed! Radio 1's Big Weekend will be heading to North Wales for this years free weekend of music, with Pixie Lott (pictured above) confirmed for the event. The Big Weekend will take place on Saturday 22nd and Sunday 23rd May 2010 at Faenol Park in Bangor, north Wales. This is the largest free ticketed music event with 40,000 tickets being given away to the public who register on the official BBC Big Weekend website. As in previous years at Swindon, Londonderry, Dundee and Sunderland - priority will be given to local people, who will be encouraged to attend the free event. More details about who will be performing and how to obtain tickets will be revealed over the coming weeks. 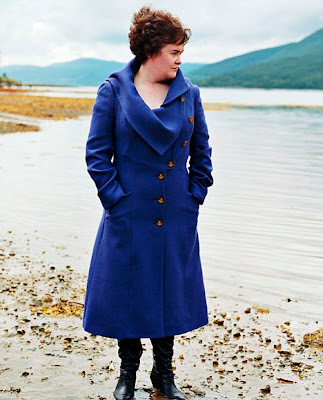 Susan Boyle might have the biggest selling album of 2009 and the most watched video on YouTube, but behind the scenes a completely different picture has become the reality. The 48-year-old has suffered very public melt-downs since her meteoric rise to fame over the past year, and is said to be close once again to a breakdown. 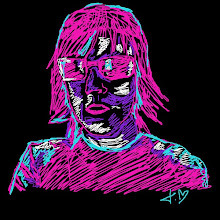 Behind the smiles and the songs, lies heartache and loneliness - something fame and money cannot buy. Her brother Gerry has spoken out saying Susan suffers from 'crushing' loneliness and fears she will never fall in love. The Britain's Got Talent star has never had a relationship and has struggled to cope with the fame since becoming a global sensation. Her brother revealed in an interview, "The one thing she wants above all everything else is love. Who doesn't? Her biggest wish is to find someone who she can share her success with and support her through the difficult times." Susan Boyle has been afraid to sleep at her Scottish home after she arrived home several weeks ago to find an intruder inside. Security has been stepped up, yet this had added to the turmoil. Gerry said, "If I'm honest things aren't great for Susan at the moment on a personal level. She's absolutely exhausted after non-stop travelling promoting her album around the world." Here is the full list of winners from the BAFTA Awards 2010, as revealed at the award ceremony at London's Royal Opera House. Avatar and The Hurt Locker were the main winners of the night, with Up winning several awards. The cast from Glee have reason to celebrate today after earning themselves the #1 spot in the UK and Irish charts. The album Glee: The Music, Volume I knocked Michael Bublé into second place with 'Crazy Love' in Ireland. Fans of Glee found out on Sunday evening the album entered #1 in the UK by knocking Alicia Keys from the top spot. The Glee Cast were at #68 last week on imports alone and continued weeks of chart success in the singles chart, having three singles inside the Top 20. The live Eastenders episode was a massive winner for the BBC as 16.6 million viewers tuned in to find out who murdered Archie for the 25th anniversary special. Viewing figures peaked as Stacey Slater confessed all as Bradley Branning fell to his death in the dramatic live episode, with the episode averaging just under 15m and another 1.42m tuning in for the repeat on BBC3 later. Eastenders live had almost six out of every ten viewers watching the conclusion of one of soaps best kept secrets ever, easily beating rivals and producing one of the best Eastenders viewing figures in years. The Christmas Day 1986 episode of 30.15m still remains the most watched British soap as Den Watts handed divorce papers to his wife Angie. It was also a record night for BBC3, which saw 4.3m tune in for Eastenders Live: The Aftermath. This was the highest viewed programme ever on BBC3 and a new record for a multichannel programme. Britney Spears is looking hotter than ever, as seen in this photo for the Candie's collection. Not even a spot of insanity in sight as Britney took part in the photo shoot with top photographers Annie Leibovitz, Mark Seliger and Terry Richardson. She told fans, "It was an amazing shoot, and I know my fans are going to love the cool images ...... I'm very excited to be working with Candie's." Here are all the Brit Award winners from the spectacular 2010 ceremony, as each award is announced the list will be updated. Liam Gallagher accepted a Brit Award for Brits Album of 30 years and then went on to thank everyone apart from his brother Noel. He then had to be censored as he swore and finally threw a microphone into the crowd. Lady GaGa won all three awards she was nominated in as she dominated the Brit Awards in London. JLS won two awards, beating Cheryl Cole for Best British Single. Lady GaGa has thrown the Brit Awards into confusion by ditching her expensive show performance in favour of an acoustic performance as a tribute to fashion guru Alexander McQueen. The singer has been so upset at McQueen's tragic death that she wanted to dedicate her performance at the Brit Awards to the 40 year-old Brit. Some interesting pictures of Sarah Harding enjoying her holiday in Barbados with her long term boyfriend DJ Tom Crane have appeared in the Daily Mail. At one point Sarah Harding got drenched as she read a book on the beach. The Specials have been honoured with an award from NME magazine at this year's NME Awards, the Coventry band will receive the Teenage Cancer Trust Outstanding Contribution To Music Award at the NME Awards ceremony, which takes place at the O2 Academy Brixton on February 24th. The band will also headline the Shockwaves NME Awards Big Gig as part of the Teenage Cancer Trust concerts on March 29 at London's Royal Albert Hall, tickets go on sale later this week. 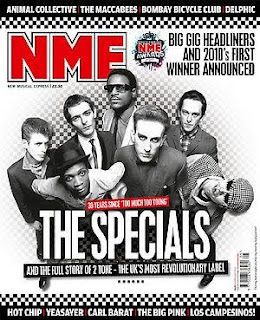 The latest edition of NME magazine features The Specials remarkable career, and tells the full story of 2 Tone, the UK's most revolutionary label - on sale Wednesday February 3rd. Here is the list of nominations for this years Oscars, which will be presented on 7th March 2010. The 82nd Academy Awards were announced in Beverly Hills, with Avatar leading the field with a nomination for Best Picture, Colin Firth has been nominated for Best Actor and Sandra Bullock for Best Actress. Avatar and The Hurt Locker have nine nominations each.